Marion "Suge" Knight made a brief appearance Monday morning in a Los Angeles courtroom just hours after the release of a video that his attorney said shows the former music industry mogul was attacked before a fatal hit-and-run at a Compton burger stand. Knight's hearing Monday was expected to focus on evidence in the murder case, but proceedings lasted only two minutes and ended with attorneys and the judge agreeing on a future court date. The court hearing comes after TMZ.com posted security camera video overnight that apparently shows the altercation at Tam's Burger Stand in Compton in late January. "Clearly he was attacked," said Knight's new attorney, Matthew Fletcher, referring to the video. "He has no obligation to retreat." The camera recorded video of a red pickup truck pulling into the Tam's parking lot. A man approaches the driver's side window, when Fletcher said Knight was attacked. The man is then knocked to the ground as the pickup reverses out of the lot before its driver speeds forward and runs over that individual and a second man. Fletcher said Knight acted in self-defense, echoing claims made by attorneys who previously represented Knight. Sheriff's officials declined to comment on the video's contents and said they did not release it, according to the Associated Press. NBC4 has not independently verified the details in TMZ.com's report. The 49-year-old Knight, who has pleaded not guilty, faces up to life in prison if convicted of killing Terry Carter, 55. Attorneys for the Carter family released a statement regarding the video later Monday morning in which they said the violent events were set in motion by actor and film consultant Cle Sloan, injured in the collision. "While the criminal investigation appears to be ongoing and our own investigation has just begun, the video makes clear that Terry Carter's tragic death was caused by unnecessary acts of violence initiated by Cle Sloan attacking Suge Knight, and Mr. Knight choosing to retaliate using his motor vehicle as a deadly weapon, rather than simply driving off to a place of safety," attorneys Carl Douglas and Gary Dordick said in a statement. "Mr Carter was a respected businessman with no gang affiliations. Any suggestion by Mr. Knight that Mr. Carter played any role whatsoever in the fight through the car window is self-serving nonsense with no factual support whatsoever." 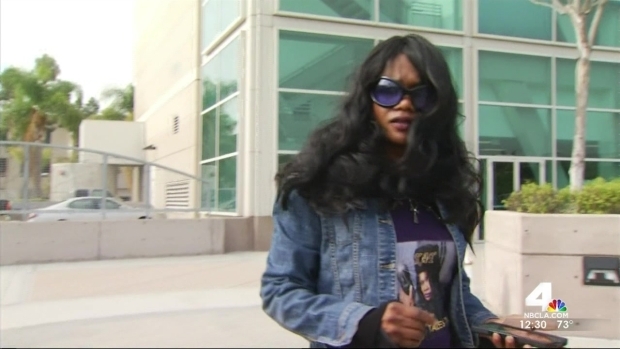 It was Knight's first court appearance since the Death Row Records co-founder told a judge that he had fired his attorneys and was going blind due to medical issues. Knight, expected back in court later this month, has remained jailed without bail on murder, attempted murder and hit-and-run charges filed after he struck two men with his pickup truck during an altercation in a Compton parking lot in late January. Early last month, a 911 call recording was released in which a witness reported the hit-and-run crash to authorities. The caller told the 911 dispatcher that a driver ran down two men. Knight was taken to the hospital following his last court appearance on March 2, the third time he's sought emergency medical care since being charged with murder in early February. Knight repeatedly tried to speak during his last hearing, but the judge admonished him not to interrupt. Knight sat down, muttered an expletive and the judge quickly concluded the proceedings. Knight was shot six times at a nightclub in August. Within days of his release from the hospital, he was accused by a celebrity photographer of stealing her camera. Prosecutors charged Knight and comedian Katt Williams with robbery over that incident, and both men have pleaded not guilty. NBC4's Patrick Healy and Asher Klein contributed to this report. 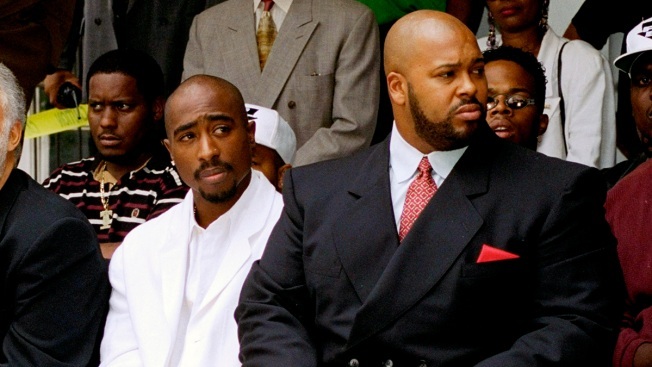 Complaining of stomach pain, Marion "Suge" Knight missed an arraignment for charges he threatened a someone he allegedly stole from. Patrick Healy reports from West Los Angeles on Thursday, Feb. 19, 2015. This article has been corrected. An earlier version indicated that Knight had pleaded guilty.